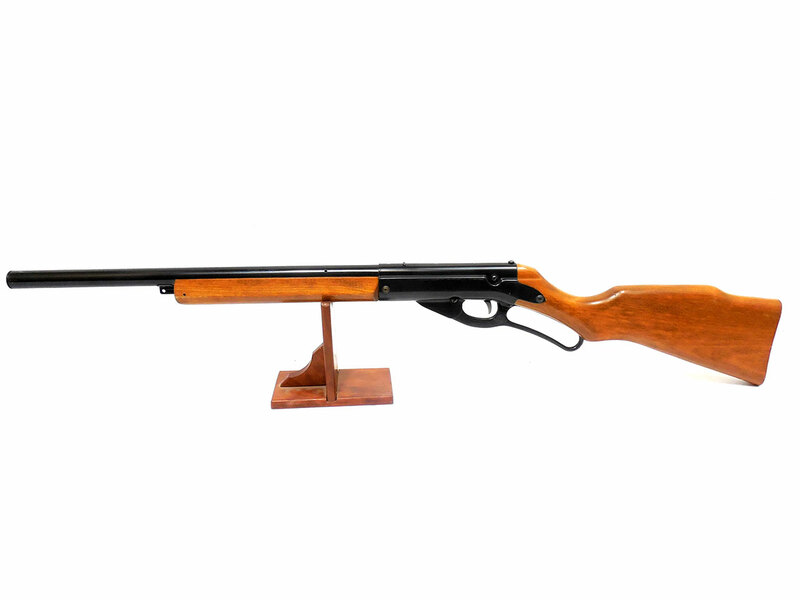 During the Vietnam War the military approached Daisy and asked for a BB gun to train instinct shooting skills. 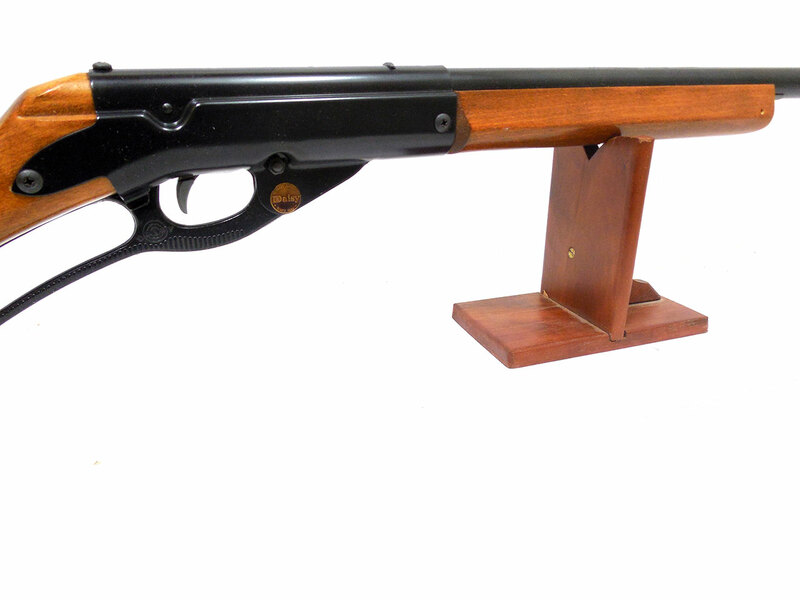 A program called Quick Kill was developed using a Daisy Model 96 with a slightly modified spring to slow the velocity so that the BB could be seen in the air. The kit also used fluorescent colored BB’s. 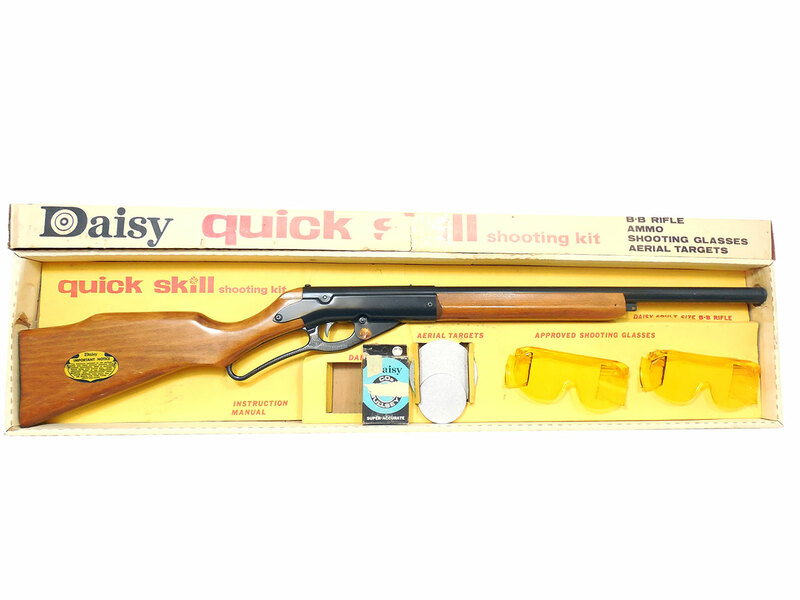 This program was so successful, Daisy changed the name to “Quick Skill” and marketed the gun to the public.The Daisy Model 2299 Quick Skill was made between 1968 and 1970. 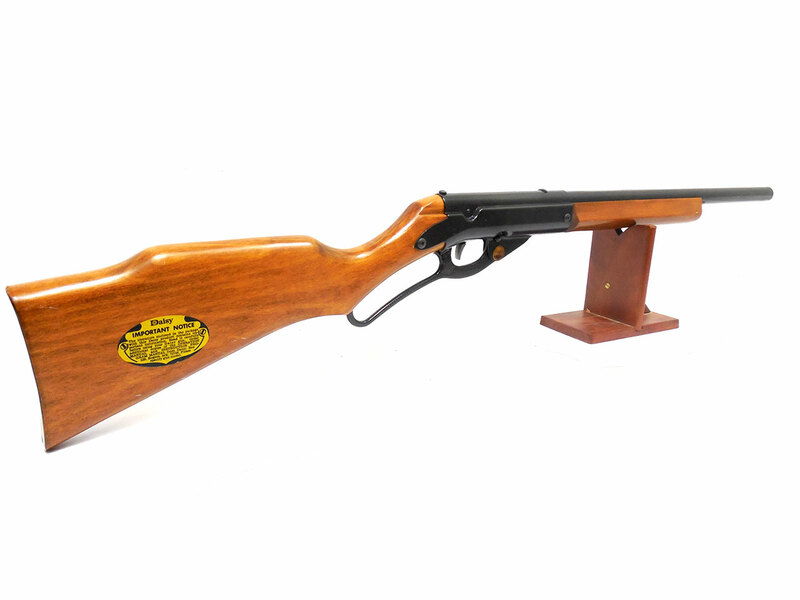 It is a spring powered, BB caliber lever action repeater with a 50 shot spring loaded magazine. 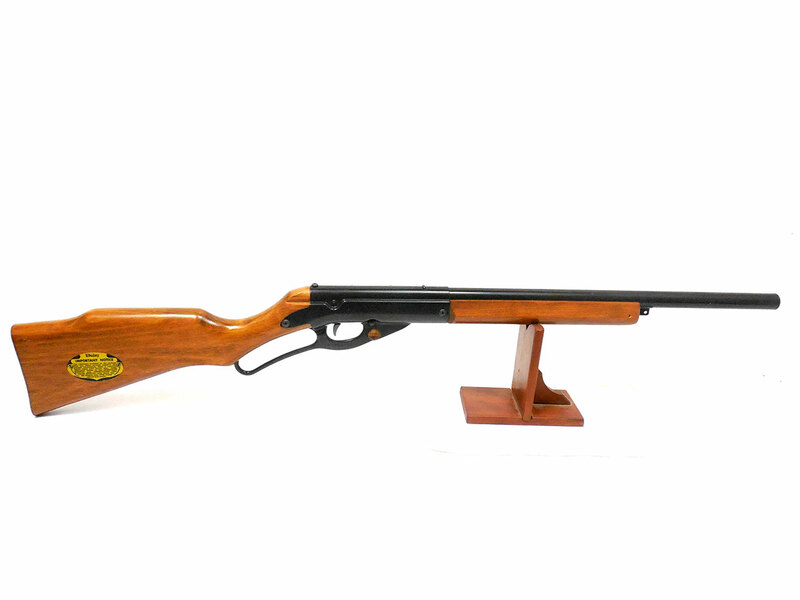 The gun in this kit is a Daisy Model 99 instinct shooter which were made without sights. The gun is in about 95% condition over all. It’s in great shape. We tested the velocity at around 286 fps. The kit also contains the original shooting glasses, 2 arial targets, and we added a partial vintage box of Daisy BBs (not original to kit). The box is in good condition too considering the age.